When we hiked the Appalacian Trail one summer we heard tails of true altruism. One such tale involved a hike along the ridge in the White Mountains. We heard this from the horses mouth; oh, I mean hikers mouth. The hiker was walking along on a beautiful clear day and 5 minutes later the weather had changed to a white out. A cloud had ascended and made visibility almost nil. Nothing to do but continue on. He was following the cairns and an hour or so later slipped and was about to go sliding down the very steep side of the mountain. Out of whiteness reached a hand, hauled him back up the the trail and the hiker that had saved him simply kept on walking, while he caught his breath and took a moment to calm down. He never met that hiker, the hiker never stayed to be thanked. That IMHO is altruism. 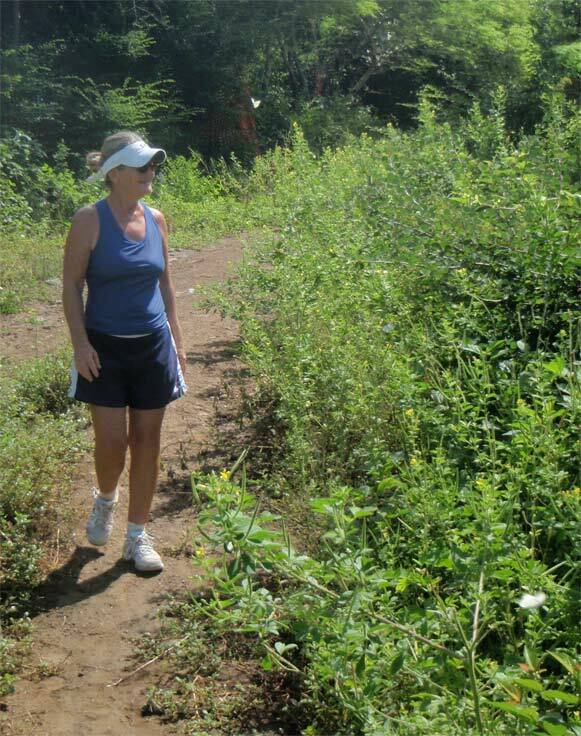 In Grenada, friends of ours on Passport had gone on a day hike. Having completed their hike they arrived back at their boat, paid the driver, removed all their gear and retired for the evening. A few hours later, the driver came by the marina asking where Passport was. He had their wallet. Somehow, IB had paid the driver and the wallet fell out of his pocket into a seat in the Taxi while they were removing their stuff. He received the wallet back with everything in it. And I mean everything! In Trinidad we’re ordering supplies. There are 3 girls that do the work at a place called MarineWarehouse, they have contacts all through the US and we order what we need, then they combine the items and ship it to Trinidad by ocean freight. One day a cruiser had come in to pay for his supplies. He charged them on his credit card and during the transaction began to ask about a health club he could go to before he flew out of Trinidad the following day. Unbeknownst to him, after the transaction was completed his CC had worked it’s way under some papers on the desk and off he went to sweat and pack for his trip home. The girl at the desk came upon the card 30 minutes later and knew the owner wouldn’t be a happy camper if he ended up at the airport and discovered it missing and not even close to a happy camper should he have made it back to the continent and found it gone. She chased him down at the health club, returned his card to him and I’m sure made a life long customer out of him. Now we’re not hiking on any trails. But I would call either of those stories “magic”, selfless acts of islanders making sure visitors experience their islands as a little bit O’ heaven. Every place seems to have it’s own special ambiance. Dominica – rainbows and boat boys; Antigua – classic yachts and a sense of style; the BVI’s is best described as Disney World for boaters. As we’ve gotten closer to South America the natural world seems to be changing. 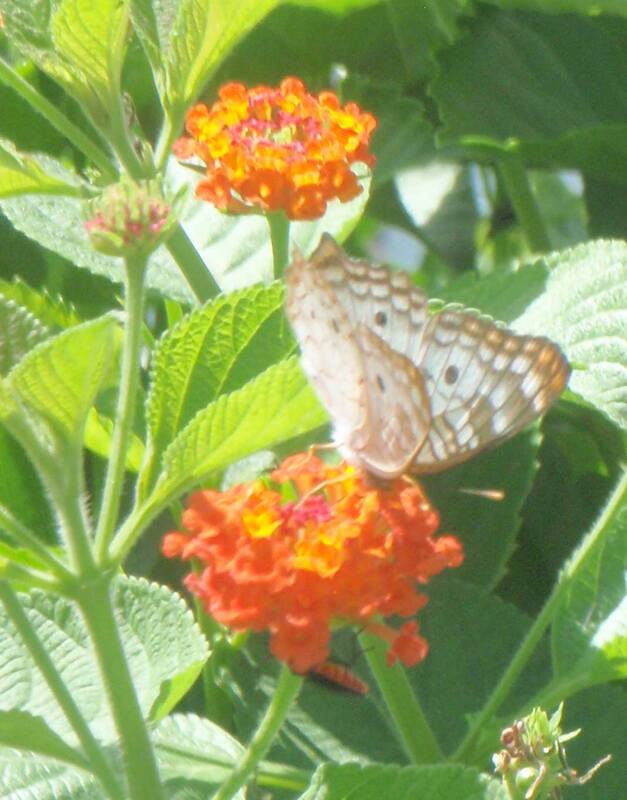 Around St. Martin, and Antigua I don’t recall Butterflies, certainly not in any of the abundance I see here. Also we saw very few seagulls and no pigeons or doves. In Grenada the Dove is the Grenadian National Bird and while Doves in general seem abundant the national bird is on a precipice for survival. Today I even saw a hawk. Not sure if any hawks are in any of the islands north of here. Seasons had been working on developing the area for homes and while there is a controversy over their methods, the economy has effectively slowed their work to a standstill. However, they’ve left a nice road – path through the park and we walked out to the bay to the East of us. We were alone on the path, alone except for the 1,000’s of butterflies, 6 horses, one bull, and a few birds. We walked past a bog (most of the mosquitoes had settled back down for the day) up over a ridge and to the next bay. 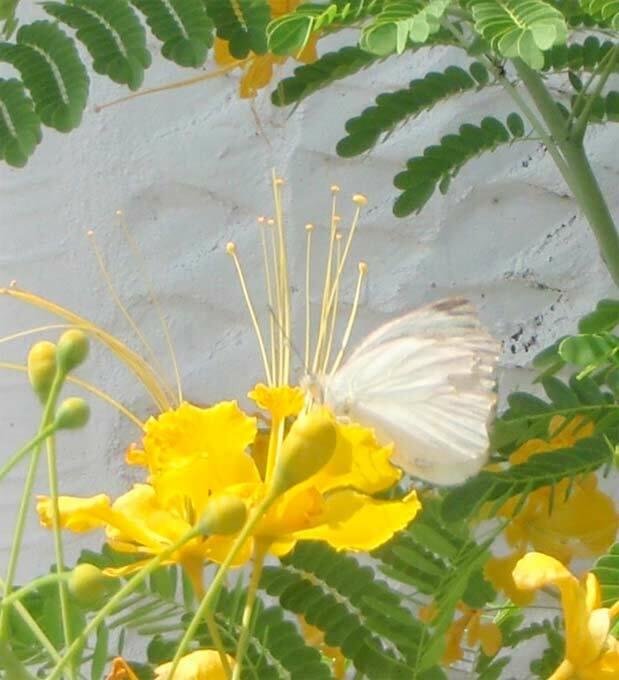 If butterflies are the place where the soul goes when you die, then Grenada is obviously a slice of heaven.